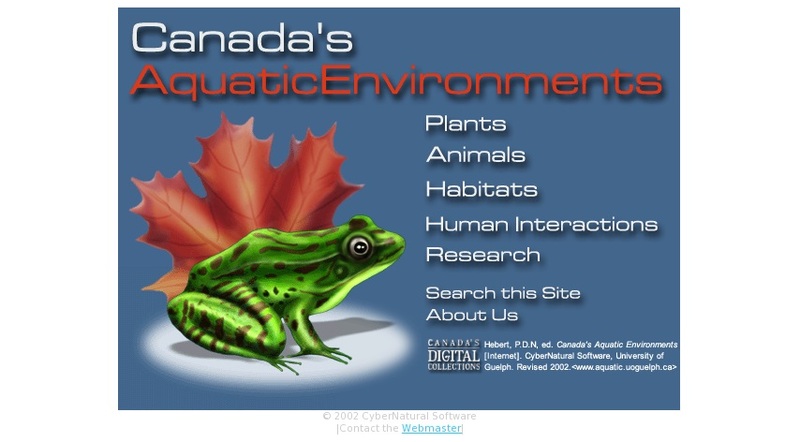 This portal provides access to information about aquatic environments in Canada. Links lead to information about plants, animals, habitats, human interactions, aquatic research institutes, and scientists carrying out aquatic research. In addition, there is a key word search function.